Mr Wale Adeniyi, the National Public Relations Officer of the NCS told the News Agency of Nigeria (NAN) in an interview that the notoriety of smuggling poultry products through the area was highest. He said that imported poultry products remained on the prohibition list and the clamp down on the smuggling activities of the product still covered all other zones of the country. “The Hawk Descend Operation was established to cover the South-West frame and for a period, for the goal to be met. “This however does not affect the fact that smuggled frozen products remains prohibited. “This means that the Customs will continue to clamp down on smugglers of the product anywhere in the country. “The focus on the South-West Zone is because we discovered that the access for smuggling of the products through the border areas from Benin Republic is highest. “We did this to ensure that the concentration of the ‘force’ to fight the smuggling activities become hard enough to break the guard,” Adeniyi said. NAN reports that the operation “Hawk Descend” was launched by the NCS on July 8 to check the activities of smugglers of frozen chicken, turkey and other poultry products. 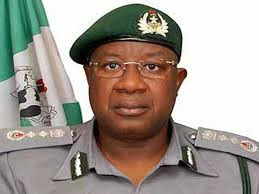 The Comptroller General of the NCS, Dikko Abdullahi , said the operation ‘Hawk Descend’ would be conducted in South Western borders covering Lagos, Ogun and Oyo states. He said that the operation aimed at achieving national food security and protection of the Nigerian economy against saboteurs would have zero tolerance against frozen poultry products imports. He said the seizures consisted of 1,803 (One Thousand, Eight Hundred and Three) cartons of the banned products confiscated in the operation. He said that the seizures were made by the Federal Operations Unit, the Seme Command the Western Marine Command and the Oyo/Osun Command.